We are dedicatedly engaged in offering a commendable range of Drill Pipe ISMT. The offered pipes and tubes are broadly used for several purposes. 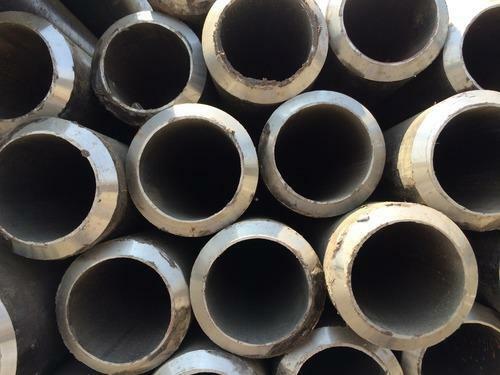 Using premium grade carbon steel with the help of the latest technology, the provided pipes and tubes are manufactured under the strict guidance of qualified professionals at our manufacturing unit. Owing to their remarkable features like durability and corrosion resistance, these pipes and tubes highly demanded in the market. We are one of the largest stockist / supplier of Jindal manufactured Drill Pipe.We have Currently 1000 Tons of Drill rod and Pipe in stock. Drill pipes are steel tubulars fitted with threaded ends called tool joints, which are commonly used in tension in the top part of the drill string to pump fluid and transmit torque to the bit.